Merida is an impressive Victorian Villa believed to be constructed in the mid 1800’s and maintained some of it’s original features, the main residence has accommodation mainly on one level with front door giving access to entrance vestibule with study off, inner front door opening to spacious reception hallway giving access to the impressive drawing room having 2 lots of french doors leading to the covered verandah and rear garden. There is also a fitted kitchen/diner with squared opening through to the sitting room, 4 ground floor double bedrooms, an impressive bathroom/wc and shower room/wc, and separate utility room. 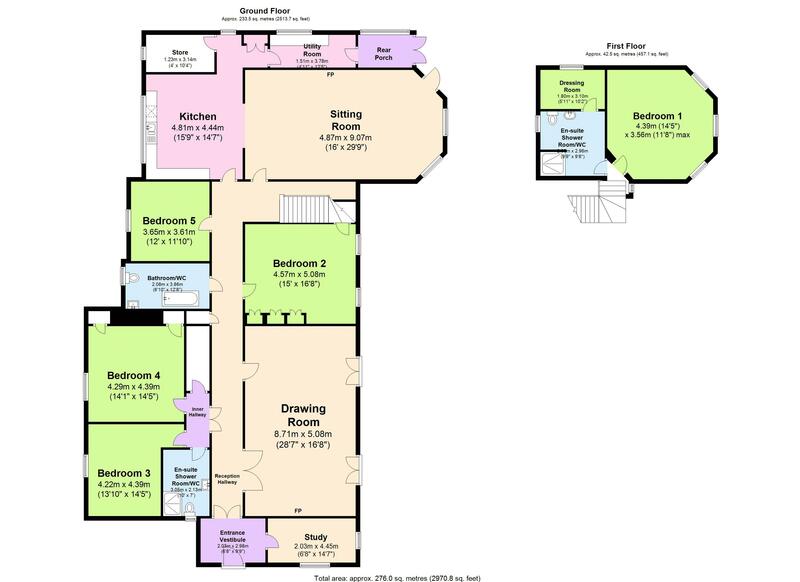 The first floor has been designed as the master suite with double bedroom enjoying sea views, use of its own shower room and walk-in wardrobe. 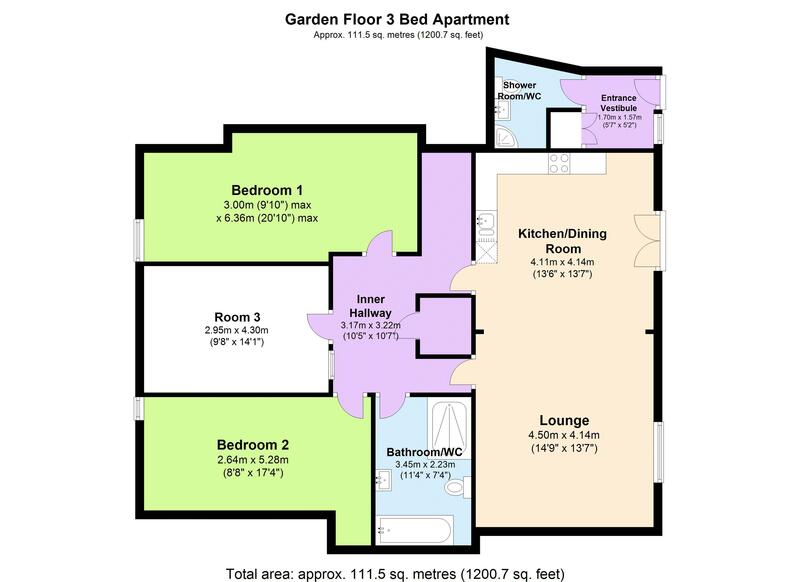 The lower ground floors have been turned into 2 separate 2 bedroom apartments that are both being currently let as holiday accommodation, apartment 1 benefits from an open planned living space with modern fitted kitchen with built-in appliances, 2 bedrooms, bathroom/wc, shower room/wc, and a further room. Apartment 2 comprises open plan living space with superbly fitted kitchen having built-in appliances, 2 double bedrooms and shower room/wc. Outside the property sits in its own grounds with a good size gravelled driveway allowing ample off road parking, the main garden is to the rear of the property which has been attractively landscaped with covered verandah, the gardens enjoy a good deal of privacy. The property occupies a much sought after residential position within a few hundred yards of Torquay harbour and deep water marina and the town centre with its array of shops, facilities and amenities. It is also within approximately three quarters of a mile of Wellswood village with their further array of shops, facilities and amenities. There is easy access to the train station which connects Newton Abbot and has mainline railway links to London Paddington. It is also within easy access to the link road which connects Newton Abbot and Exeter beyond with access to the regional airport at Exeter. An early inspection is essential to appreciate the size, position, potential and flexibility the accommodation boasts.